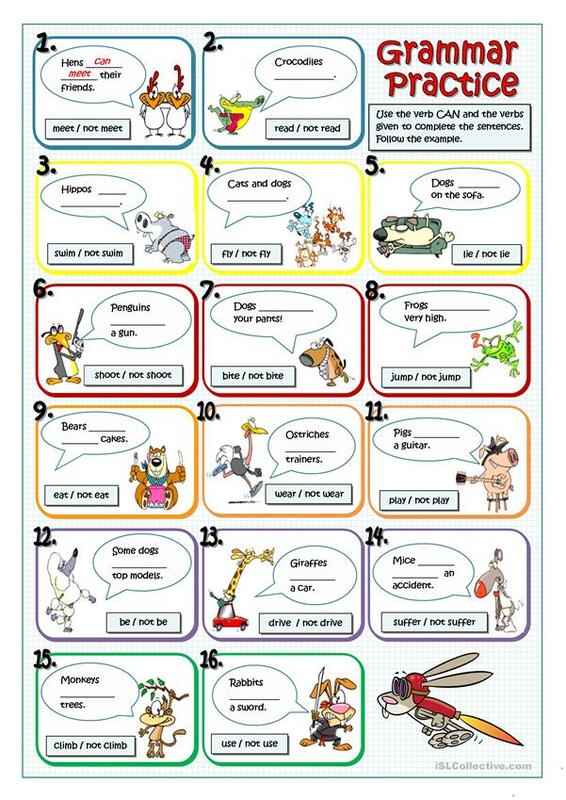 Students fill in the gaps about what these animals can or cannot do according to each picture and the action verb given. The present downloadable worksheet is a great resource for high school students, elementary school students and adults at Elementary (A1) and Pre-intermediate (A2) level. It is valuable for consolidating CAN in English, and is useful for strengthening your groups' Reading skills. It features the vocabulary topic of Animals.